How Will An Editorial Calendar Help Your Business? Your blog is one of the most important components of your website. It allows you to engage with potential clients, share your expertise, and add value to your audience. It builds your know, like, and trust factor. And just like your business, your blog should have a plan! It would be great if you were overcome with inspiration the moment you started clicking away at your keyboard, but it’s pretty unlikely to go down that way (sorry to be the bearer of bad news.) What’s more likely to happen, is you’ll get an amazing idea for a blog post right when you’re in the middle of a clarity call with a potential client and hope you don’t lose it by the time you hang up and pull your laptop open. 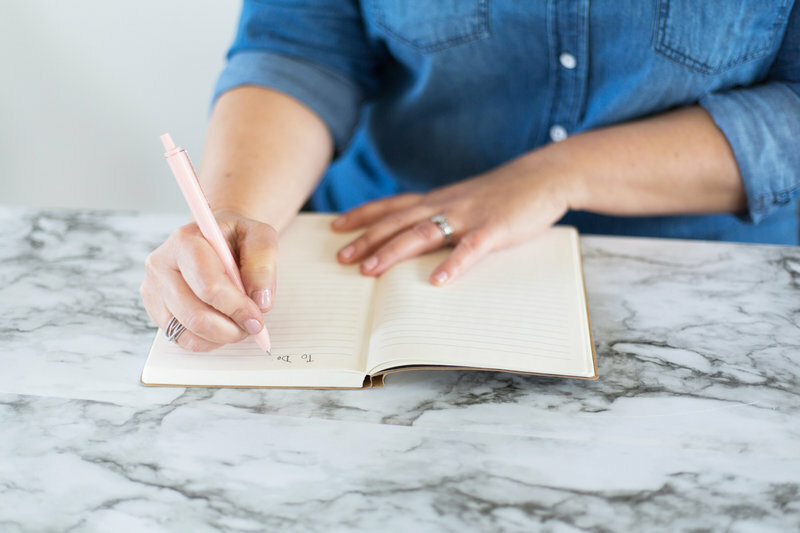 Having a plan for what you want your blog posts to focus on each week takes hope out of the equation! It provides you with a predetermined subject, and makes it easier to brainstorm ideas and craft compelling content. It’s also important to remember that the purpose of any content you create is to further your business goals. It’s much easier to write blog articles that are in line with your goals when you have a strategy behind the content you develop for it. What Elements Should An Editorial Calendar Contain? If you’d like a free copy of the editorial calendar template I created, click here to download!